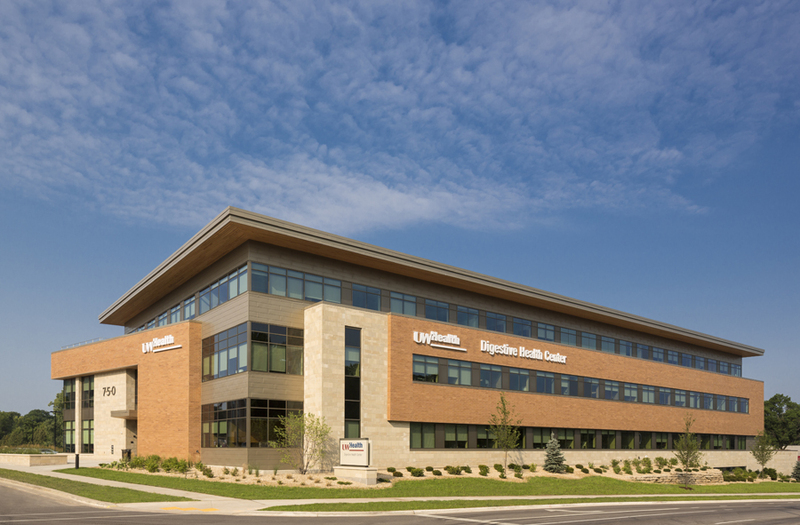 The UW Health – Digestive Health Center is the first building in the medical focused mixed-use development of University Crossing (also designed by Potter Lawson). 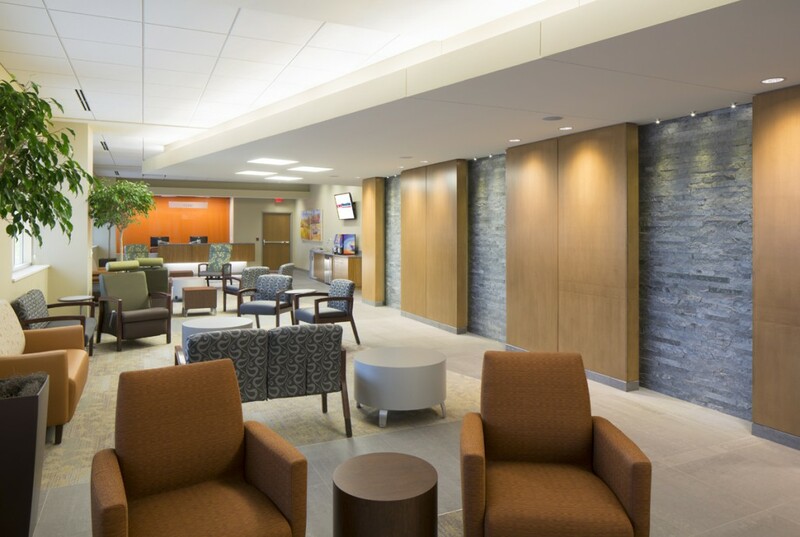 Recently completed, the Digestive Health Center serves local, regional and national patients seeking multidisciplinary, comprehensive management of complicated GI conditions. 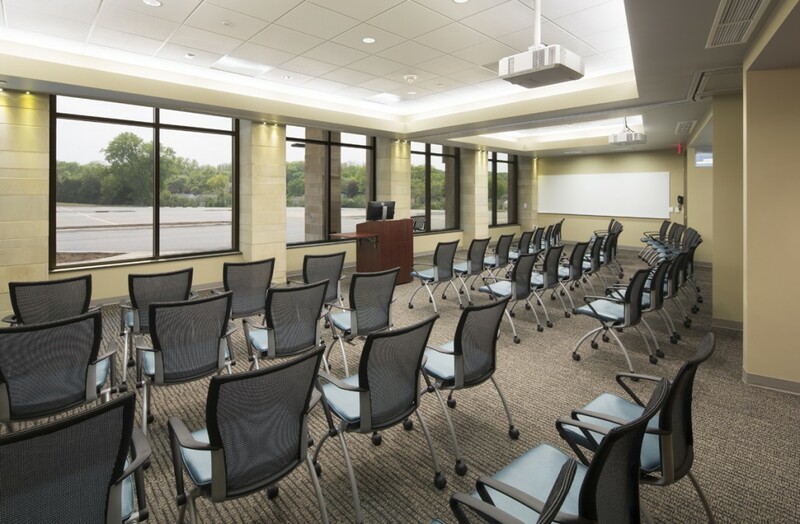 One of only a few in the Midwest this 85,000 square foot building has three floors including a 20,000 square foot lower level for 40 underground parking stalls, a loading dock and mechanical equipment. 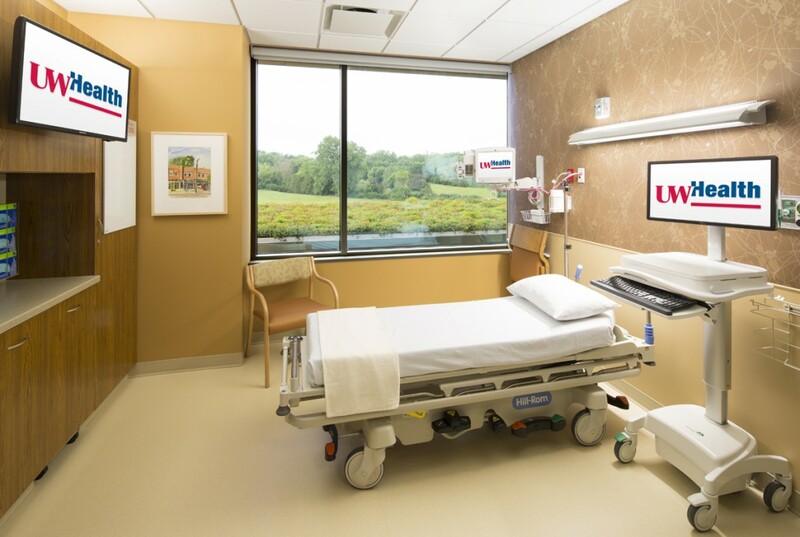 State-of-the-art, coordinated gastrointestinal care is delivered by a team of specialists including gastroenterologists, surgeons, radiologists, anesthesiologists, and other experts in nutrition, swallowing, and counseling. 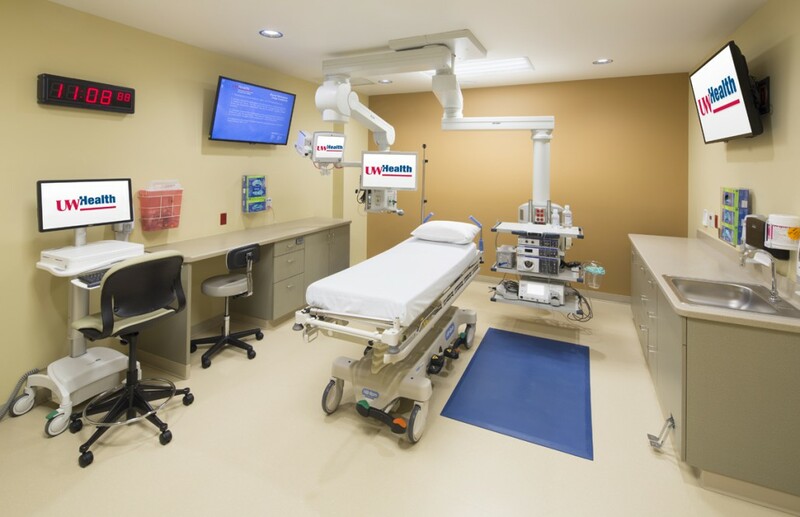 The clinic includes 14 endoscopy procedure rooms supported by 49 private prep and recovery rooms. 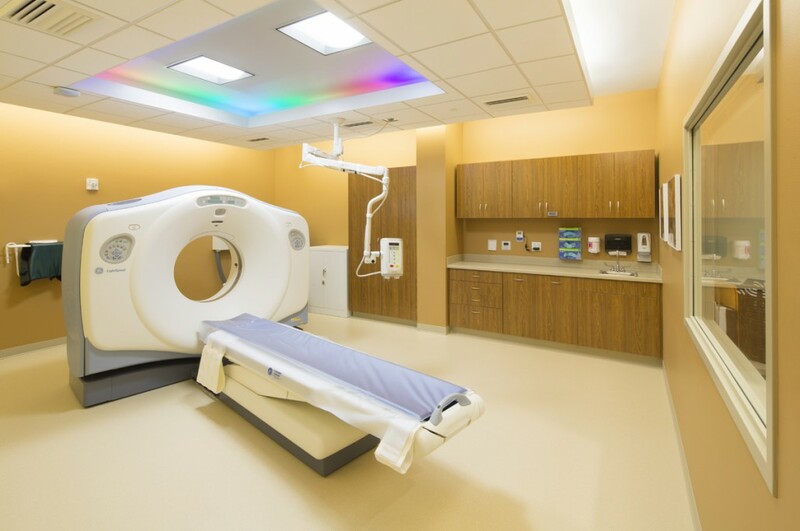 The imaging suite has separate areas for a CT scan, ultrasound, and a radiology and fluroscopy room. 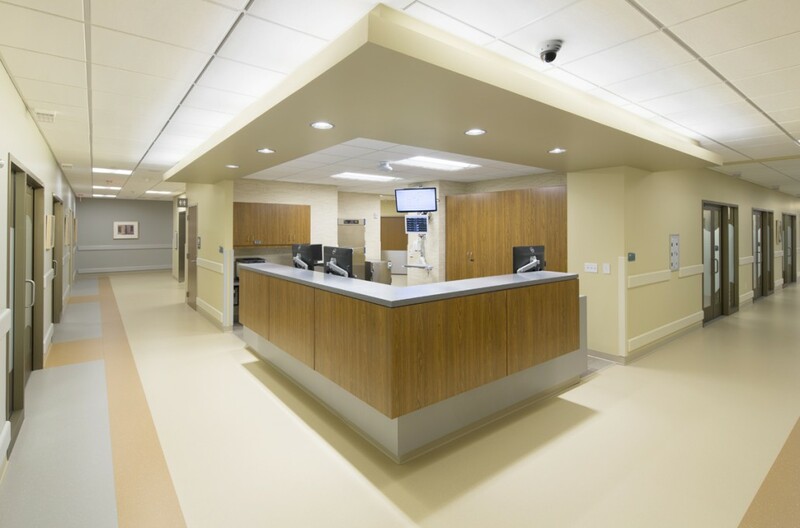 On-site clinical labs support the entire clinic. 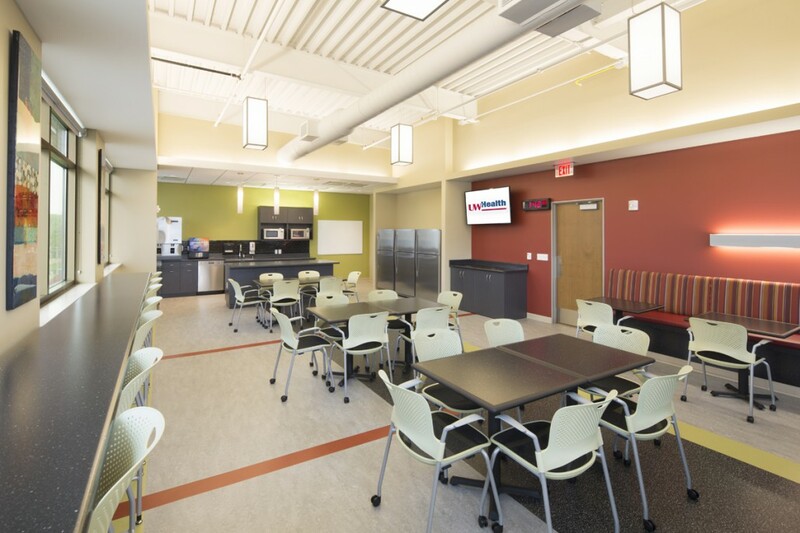 A centralized breakroom was designed to encourage interdisciplinary discussions, and there’s a flexible classroom for up to 60 people to support the teaching functions of the clinic. 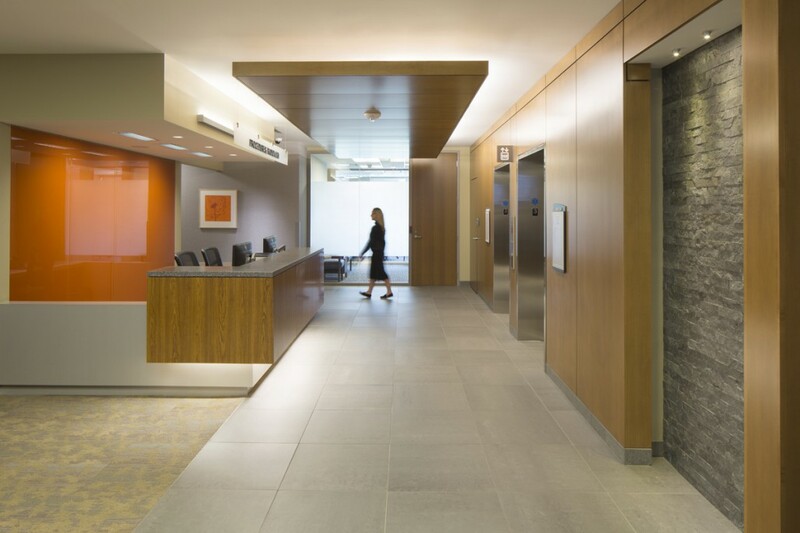 Designed to pursue LEED Silver for Healthcare, the Digestive Health Center has many sustainable features, including new bike and pedestrian paths, bike storage, daylighting, indigenous landscaping and the use of local, low volatile organic and recycled materials.